Lot 889 Great Britain #93 1882 £5 bright orange Queen Victoria, Watermark Two Anchors, with good colour and a reasonable Treadneedle Street oval cancel, very fine in all respects. 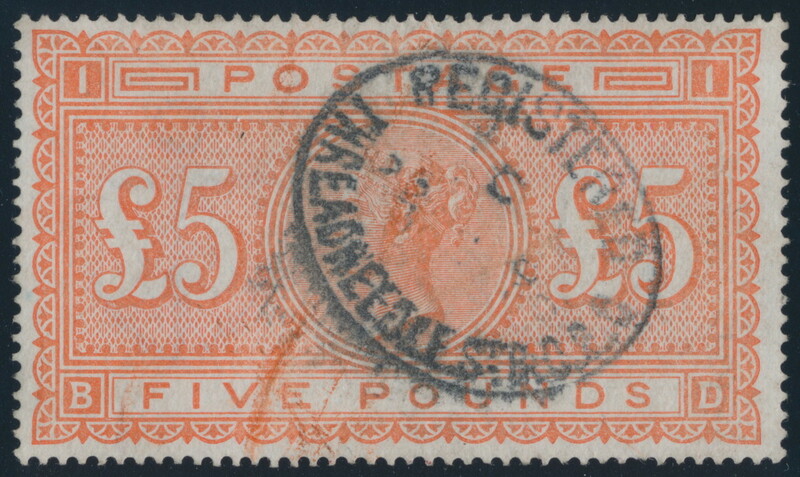 A lovely example of this popular high value. Scott CV U$5,000.